Western Europe has long remained a top tourist destination for travelers outside Europe. With heaps of plenty of interesting things to see and do, it has become a favourite spot for us Canadians around the country to visit in an attempt to get back to our roots. Thinking of doing the same? Here are the top five countries that mean you should. Besides boasting a rich history, Italy also has many interesting places that are literally impossible to exhaust with a single visit. Top on the list of every Canadian should be Florence, a stunning Renaissance city that is one of the most visited in Italy. 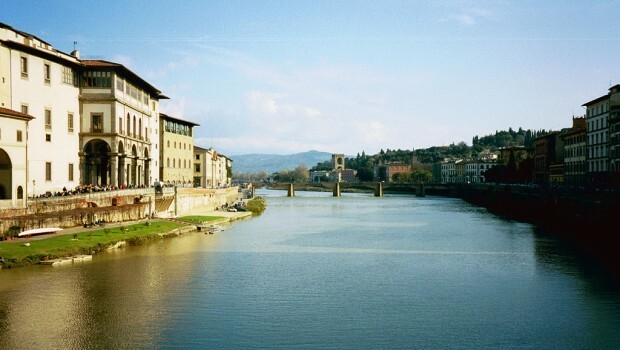 Home to Italy’s best museums, churches and cathedrals – as well as elegant shops and buildings, Florence is a must-see. In the same breath is Rome, the true face of Italy and a capital that needs no introduction. When it comes to enviable beauty, infectious romance and cultural sophistication, then France has it all. Regardless of the time of year, every little corner of this enchanting country is worth visiting. Top on the list is the most visited paid monument in the world – the Eiffel Tower, which is also the symbolic image of France. Alongside that is the Abbaye du Mont Saint Michel, where the forces of nature meet the artistry of high culture. This is also one of the first sites to receive UNESCO world heritage certifications making it a unique place for Canucks thinking of heading abroad. The United kingdom is another top destination that Canadians have to get a load of. Whatever your craving, there is just so much to do and see in the UK. From cultural sightseeing to sporting events like the world famous Wimbledon, Canucks in the UK are right on the doorstep of the rest of the continent too (you can hop over to France really quick by taking a ferry from Portsmouth to Le Havre). When it comes to outdoor events though why would you? The the land of the Queen has startling festivals of every kind (if you can mind the rain that is), wacky enough to include cheese rolling and mud wrestling. Yes, a different side of Britain indeed! One of the most-visited countries in Western Europe, Spain is another thriving and beautiful territory to head to when planning to visit this part of the world. If you are curious about bullfighting or want to experience it for the first time, then this is the place to indulge. Bullfighting remains part of Spain’s history and attracts visitors from far and wide. A trip to Spain is not complete without visiting the famous, quirky and eponymous architecture of Antoni Gaudi. Likewise the Alhambra, a Moorish fortress that sits on the hills of Granada, the most-visited UNESCO site in Europe. Germany is another great spot that Canadian tourists should visit. Brimming with cultural events like Oktoberfest and with breathtaking scenic beauty to boot, Germany is a major draw. Head in the summer for city boat rides along the river Rhine in Bonn. Simply unforgettable. Due to its size, planning a visit to western Europe may seem like a challenging task – yes, even to a Canadian! Yet if you are looking forward to a one of a kind experience, Western Europe can’t afford to be missed.